The UK’s first, community-run online store, brandishbute.com, has been set up by local arts and craft people from the Isle of Bute, situated off the West Coast of Scotland, with all profits returning to the community. The Island attracts artisans from all over the world who are inspired by its beauty and character. Former Goldman Sachs gold trader, turned furniture maker, Ray Beverley and his family made the Isle of Bute their home in 2003. 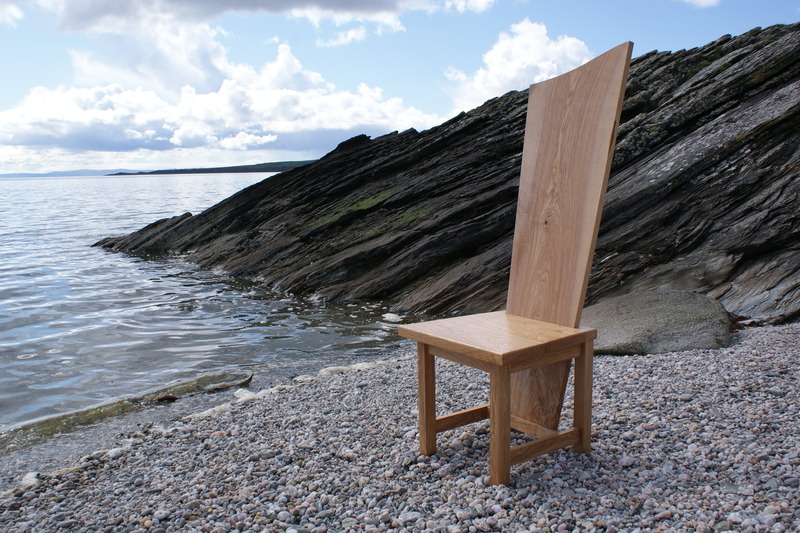 Ray had been designing and building furniture for 16 years but found the lifestyle, culture and panoramic beauty of Bute has greatly influenced and extended the style and scope of his work. Utilising ethically sourced local material, his bespoke chairs are inspired by the Island’s magnificent terrain. Products on the site also include hand-crafted ceramics, fashion and traditional jewellery and high quality throws, all of which reflect the natural beauty of the Island.